Yes although I enjoy taking pictures of freshwater fish I also do work around the British coastline and terrestrial work for groups like The Wildlife Trust, RSPB and BBC. In terms of filming and photography, do you have a preference in terms of which you would rather work with? 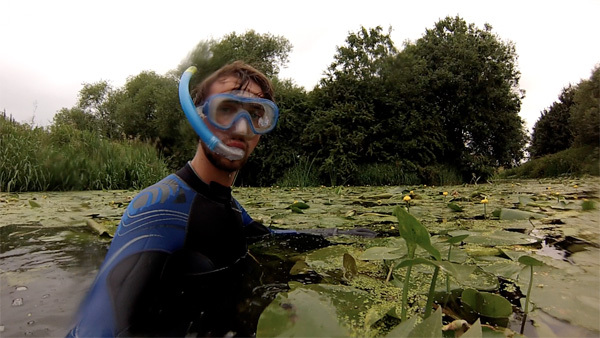 Fish are incredibly hard to work with, for a start you’re in a alien environment trying to get close to something that can easily be spooked and swim away – as any angler will know! My favourite subjects would have to be reptiles as I’ve always been interested in them since childhood. There seems to have been an increased interest in underwater footage recently. How do you think this can help anglers catch more fish? 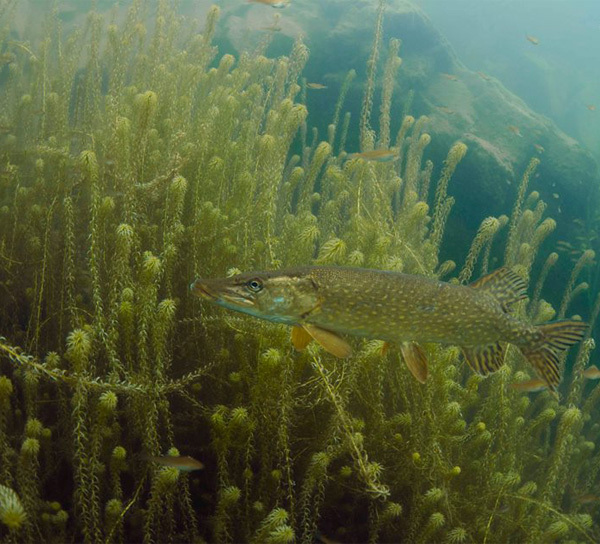 You certainly see a different side to fish when you see then under the water. 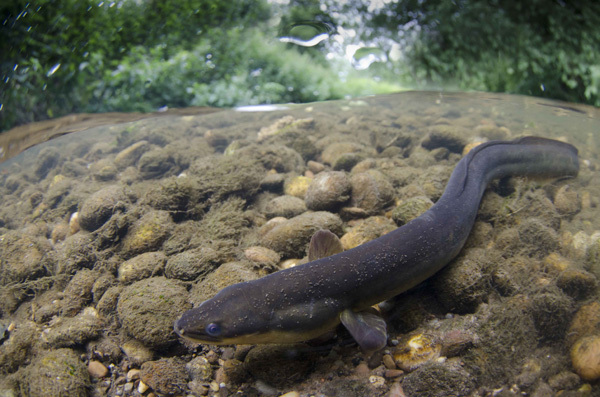 Learning where fish like to be in the river can certainly help when you have a bait out. Are you ever shocked by the things you see? I was surprised by the fish you captured in waters around Nottingham. Well that’s why I enjoy filming them because people are always surprised at what’s out there! 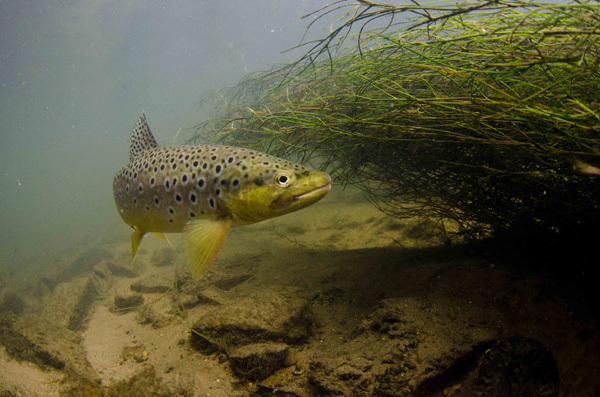 The most unusual fish I’ve had pop up was a brown trout on my local river which is very urban and for many years I hadn’t seen one but saw three underwater with the camera. How often do you get out on the bank and where are your favourite places to fish? Not as much as I used to, but when I get a chance I like small river chubbing or canal fishing for gudgeon, bream and roach. 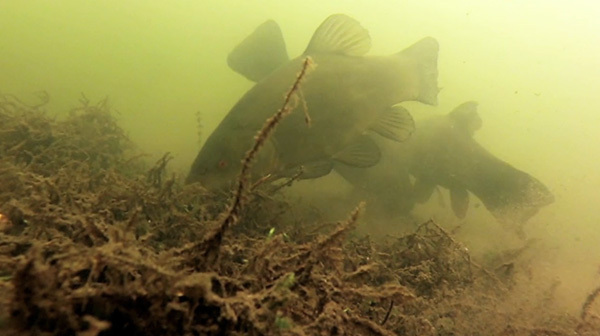 The idea is to produce a short film to video as many of the 54 freshwater fish as possible to highlight issues, threats and whats being done to tackle them as well as filming behaviours and species that have not been done before. Are you pleased with the progress that the campaign is making? It still has quite a bit of time left but of course I’d like it to get closer to the target!